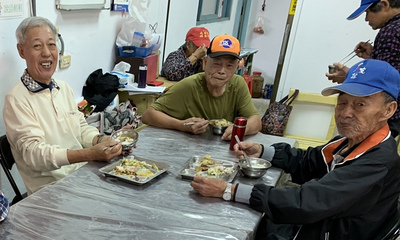 Taipei, July 16 (CNA) The Tzu Chi Foundation, one of the largest charitable organizations in Taiwan, has been awarded the Manhai peace prize in South Korea, the Chosun Ilbo, one of the country's leading newspapers, reported on Monday. For winning the prize, Tzu Chi will receive 100 million South Korean won (US$88,639) on August 12 at the Manhai Festival, which will be held from August 11-14 in Inje County in Gangwon Province in South Korea. Founded in 1966, the Taiwan-based foundation has helped people in more than 120 countries with emergency relief, education, medical care, and environmental protection, including providing famine relief to North Korea nine times since 1997, the newspaper said. Kim Jong-il, North Korea's leader of the country from 1994-2011, even sent a group of artists to Taiwan to paint a huge mural for the foundation to thank Tzu Chi for its efforts, the newspaper said. The Manhai peace prize was established jointly by the Chosun Ilbo and Inje County government in memory of Master Manhai, a great Buddhist monk in the country. In addition to the peace prize, the organizers also honor outstanding figures in the fields of literature and social practices.